When it is a warm day, it is nice to take art outside. 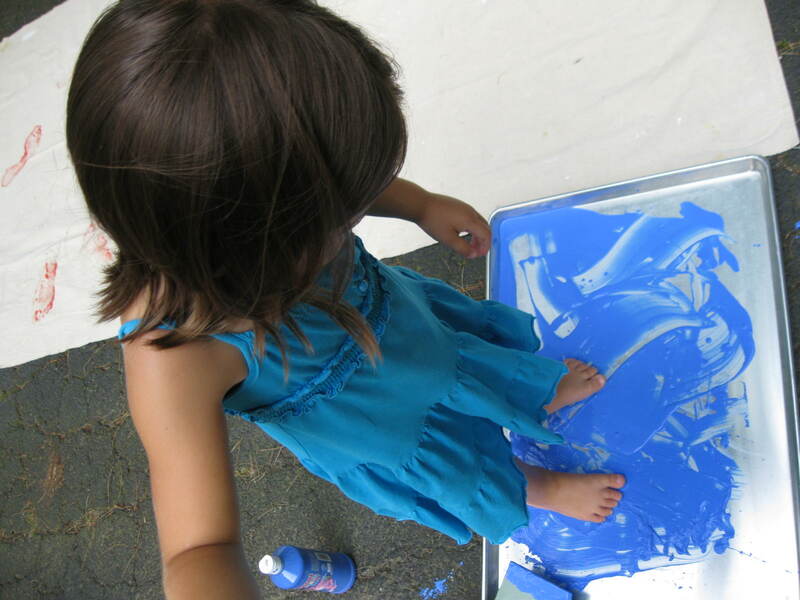 Recently, we experimented with painting with our feet. I laid out a large drop cloth (from the hardware store) and set up trays with different colors of poster paint. 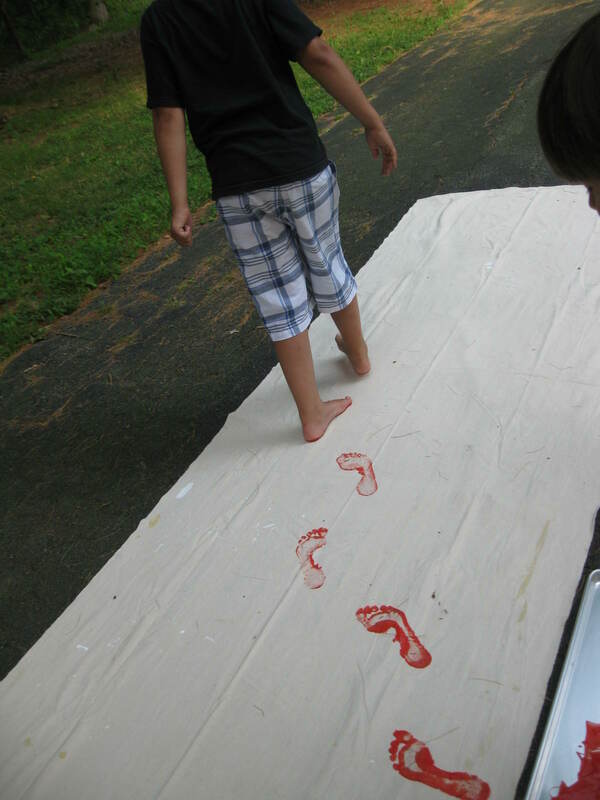 The children then squished their toes in the slippery paint and walked across the canvas. 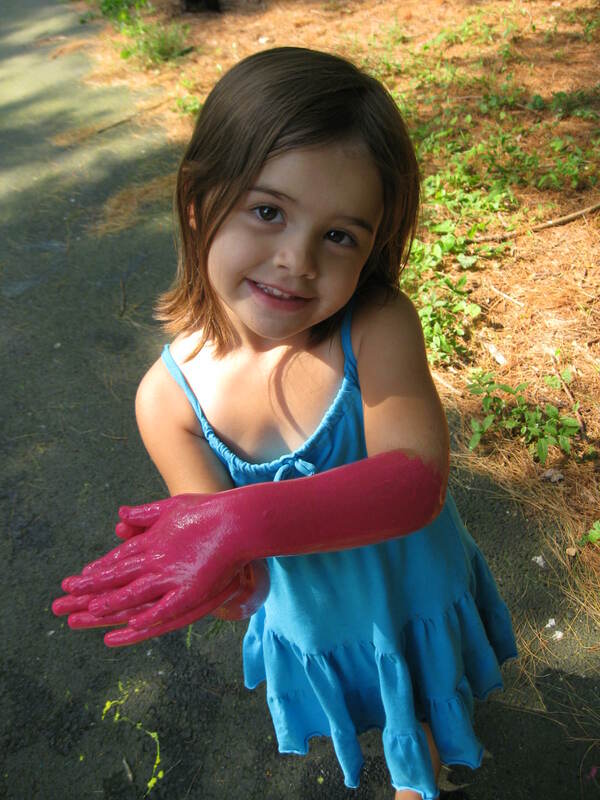 There was dancing and running footsteps as well as some other body parts that got covered in paint (oops!) that were imprinted on the canvas. 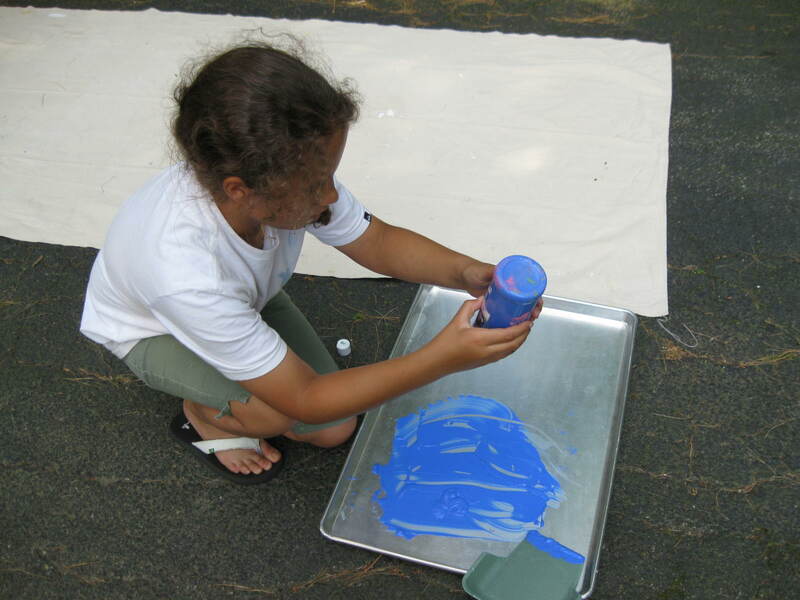 We decided to move the trays around so that colors would be spread evenly around the painting. 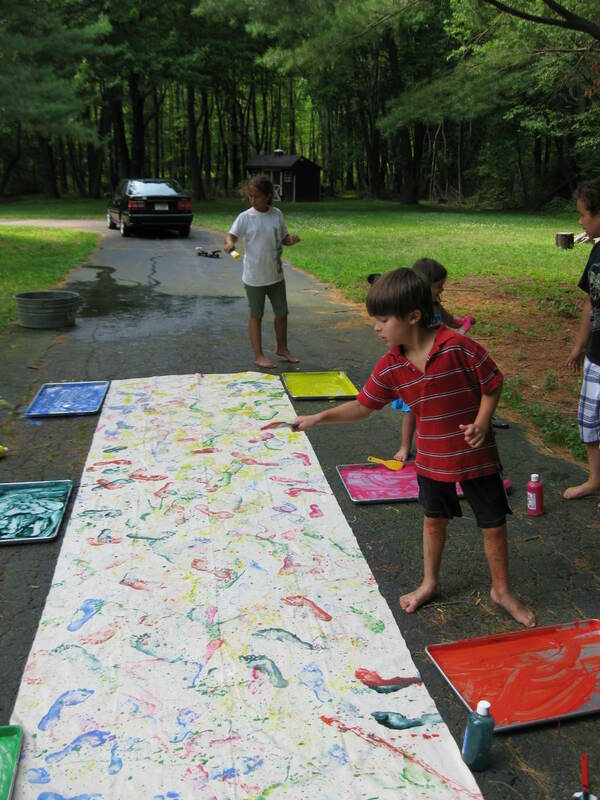 The children then wanted to do some splatter painting a la Jackson Pollack so we got out some large paintbrushes and splattered away. 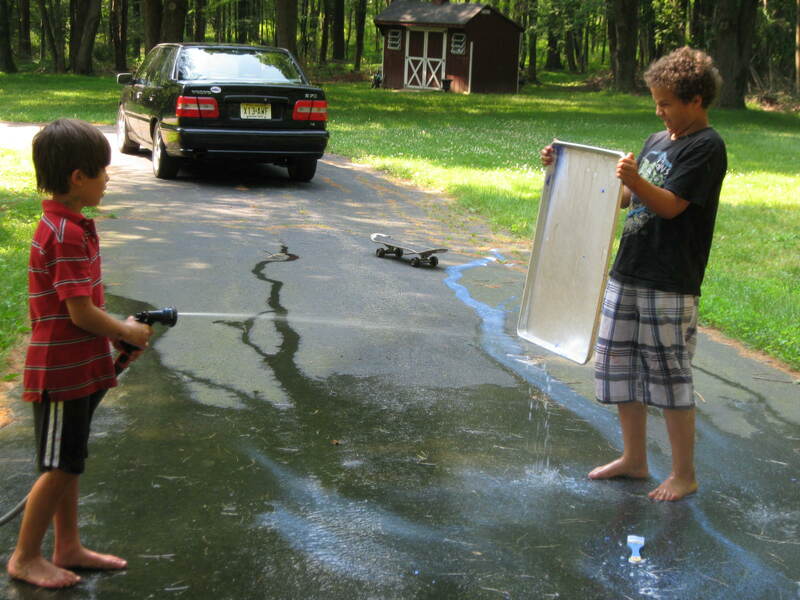 Cleanup was easy with the hose and and the boys had fun using the trays as shields and then looking at the multicolored water runoff that resulted.